The sap is rising now and there are lots more seeds to be sown and jobs to do in preparation for the growing season ahead. The trays of cut-and-come-again salad are appreciating the warmer and lighter conditions, not long until they can be grazed. 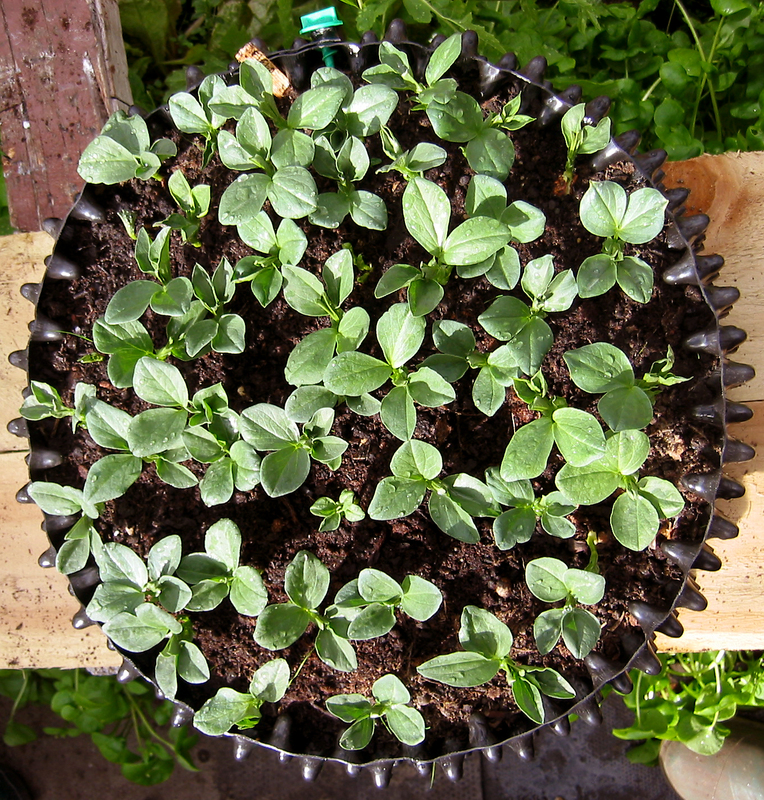 I got some broad beans started in an Air-Pot® seed tray a while ago and I am pleased with their progress. Germination has been close to 100 percent in the greenhouse where they are safe from mice and cold, soon they can be planted out to give an earlier crop than the outdoor sown beans. The potatoes in Air-Pot potato towers are putting out some leaf a couple of months ahead of potatoes in the ground, of course they need to be protected from frost so I pull over a cover at night. 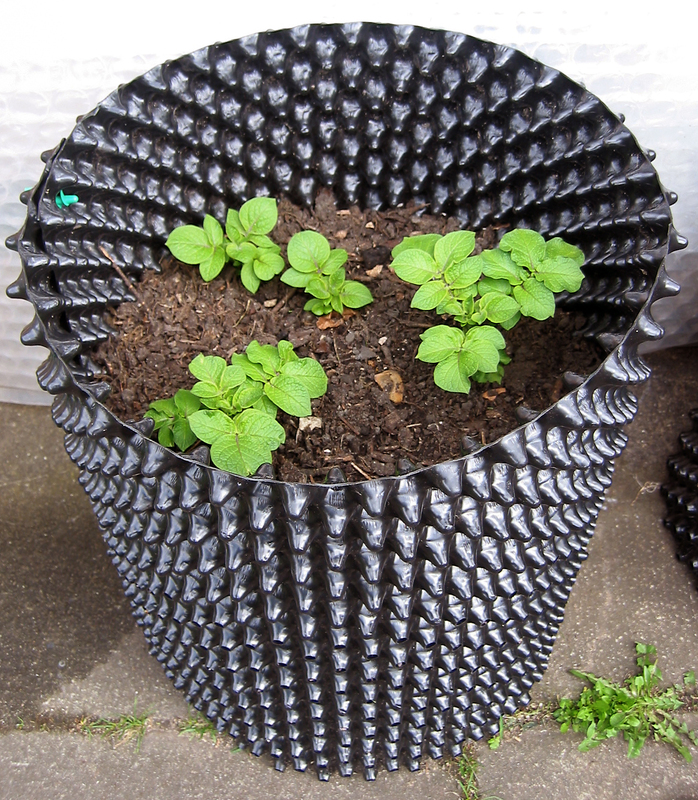 The transparent bubble plastic cover can be left on during cold days when it acts like a mini greenhouse. 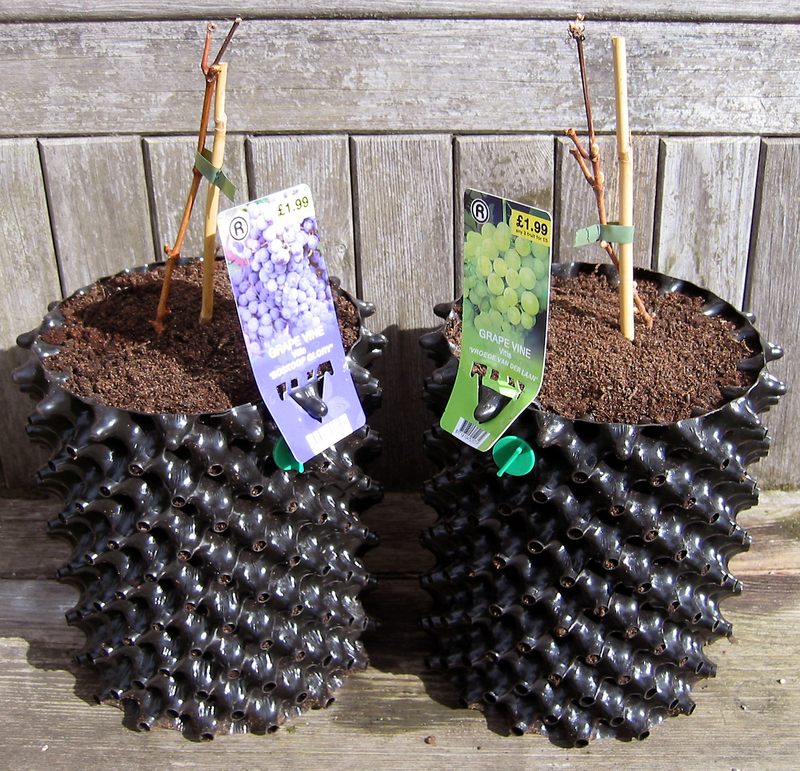 Once the shoots are a bit longer I will top up the towers to the brim effectively earthing up the plants, giving them space to produce another layer of tubers. I fancied trying some grape vines so got hold of a white and a red type, pretty hardy varieties but in Scotland they are unlikely to crop well outdoors. So they have been planted in Air-Pot containers. Apparently once they are well established and are correctly trained and pruned they can crop well for several years, I think they will be happier for longer in Air-Pot containers than ordinary pots. They will end up in 45 litre containers which can be moved into a greenhouse in late winter / spring giving them the chance to get growing early so they have a long enough season to produce ripe grapes. Just have to wait 3 years now.